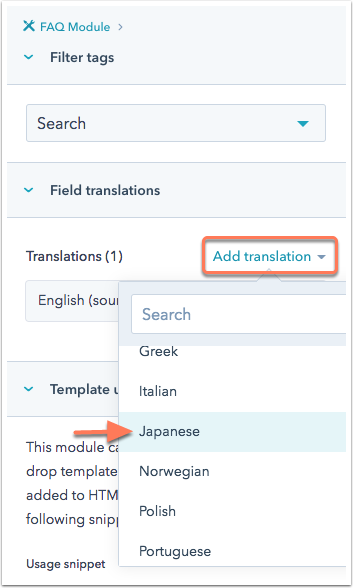 To support your global team, you can publish translations of modules you've created in HubSpot. After the module is translated and published in the languages of your team members, users will see the field labels for that module in their account default language. You can created translations of your module in any supported language. The contents of each translated module can be further customized in the code editor in your design manager. Click on the name of the module you want to translate, or create a new module. In the inspector pane on the right, click Add translations. This action will create a source module in the language of your own account defaults. 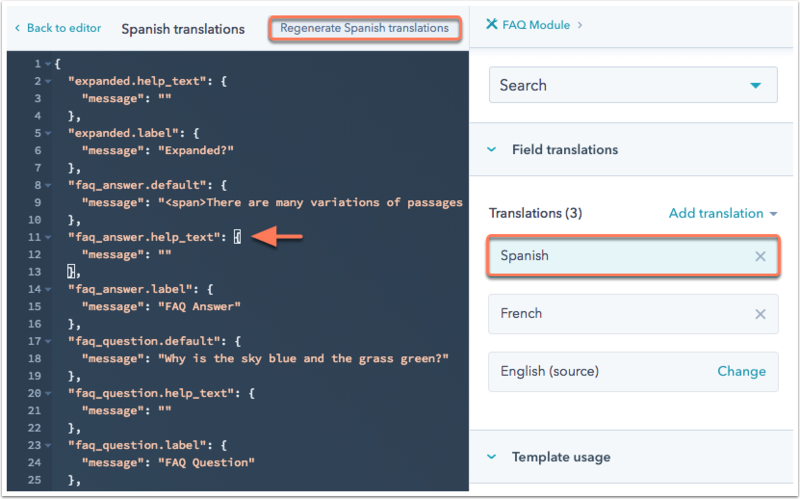 Use the Add translations dropdown menu to create a clone of this module in a new language. Click on the module in its master language to access the code editor. Click on the pencil icon edit to access the editor to add any comments. If any module fields are deleted or there's an error in your code, click Regenerate [source language] translations to restore any missing data. This action will not delete any of your comments. Click on the language to access the code editor. Click into the editor to add fields, comments, or other content to this translated version of the module. 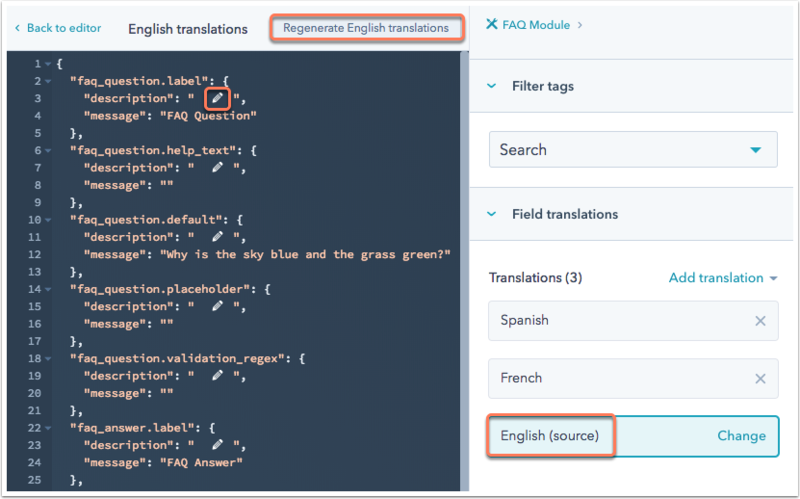 If any module fields are deleted or there's an error in your code, click Regenerate [translated language] translations to restore any missing data. This action will not delete any of your comments. Once you've made all your edits, click Publish changes to publish your module translations.